I was originally going to title this post: Coffee & Cake. But seeing as I don't actually like coffee, I felt it would be a tad unjust as I don't actually know if any of these places sell good coffee. But what I've gathered here are bakeries, coffee shops etc that are the perfect places to go if you're looking for somewhere for a 'coffee and a catch up' with a friend. I first discovered this place as it's located between Edinburgh's central campus and the science campus (AKA my second home). A little bit off the beaten track but worth the visit. I stopped in one day on my way home with a friend and we had some tea and a little tart each. My choice was banoffee and my friend went for the classic strawberry. They were so beautifully presented and absolutely delicious. Because it's not in the centre of town it's pretty quiet so would be an ideal spot if you're looking to get some work done. If you're travelling to Edinburgh by train, then Cup is ideal for you! Located on South Charlotte St, it's a short walk from the train station. Tea room by day, gin bar by night this place is everything you could need all in one spot! The tea selection is vast, I'd recommend the rose perfection tea, and they have a wide range of cakes as well. 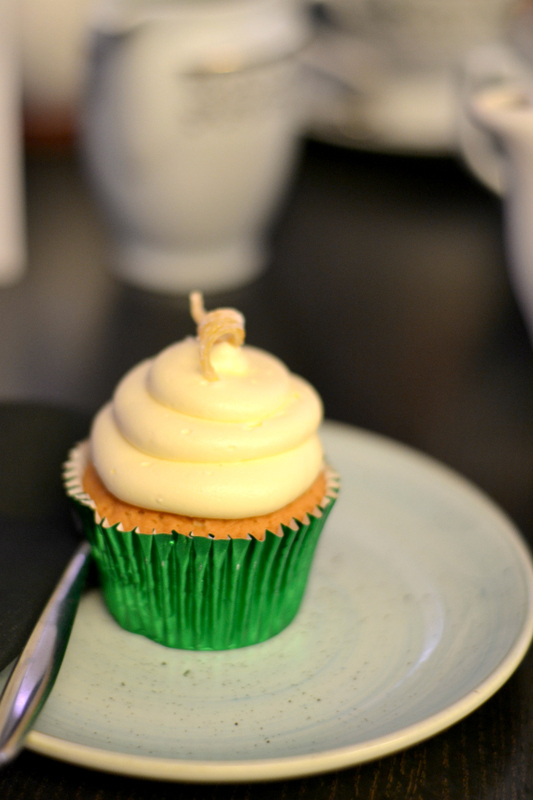 I opted to try out their lemon and elderflower cupcake which was really light and refreshing. Their afternoon tea menu is also really unique. It totally caught my eye. Maybe I'll return someday to try it out and maybe write a full review. Located on Frederick St with a close by store on Rose St, Eteaket has quite the fan club in Edinburgh. A much for tea lovers. Eteaket has an immense selection of teas and everything is served on beautiful, mismatched china crockery. I recently visited with the lovely Lis for a catch up and we really enjoyed ourselves. 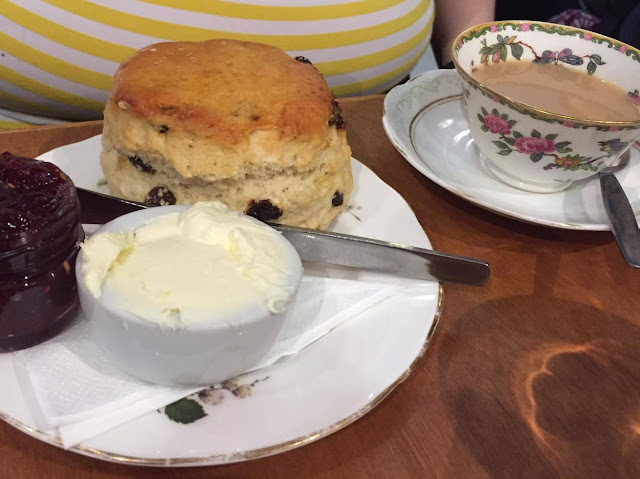 I was pretty hungry so I had a brie and cranberry panini rather than a cake but Lis had their cream tea with a beautiful scone. I tried out their white peach tea and it was gorgeous. We really enjoyed our time here and I'd definitely like to make my way back to try out their afternoon tea! 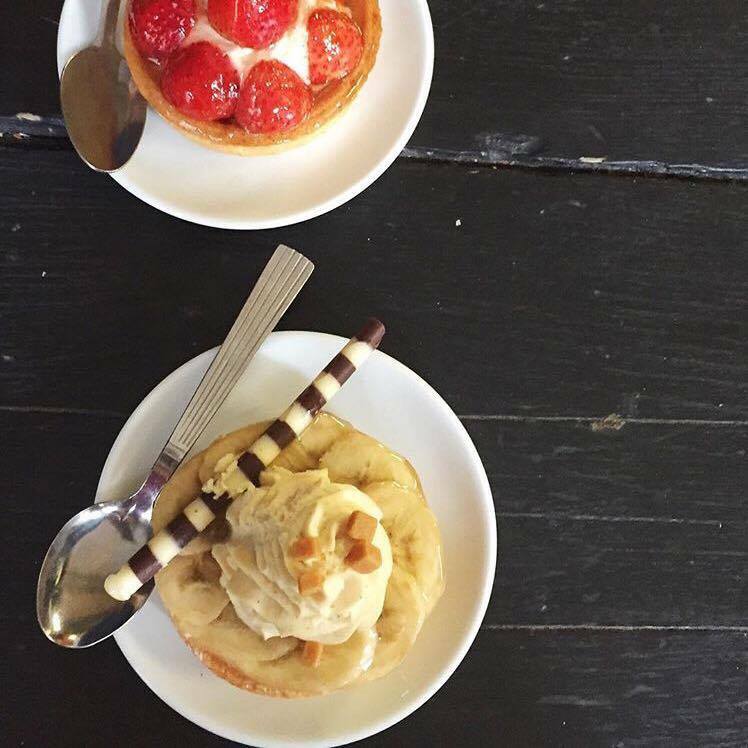 With 3 locations around Edinburgh, Mimi's Bakehouse is a favourite amongst the locals. With breakfasts, lunches, afternoon teas and cakes there's always something exciting to nibble on here. What I love about Mimi's is that their cakes are always very unique. You're definitely likely to get something here you wouldn't get anywhere else (although their mars bar cake is amazing). Not only that but they also have an alcohol license so if you're not in the mood for a tea or a coffee you can relax with a glass of wine. I was lucky enough to be invited to the launch of the Bruntsfield bakery a few years ago and the Cuckoo's Bakery has remained a favourite of mine ever since. With the prettiest (read: Instagrammable) cupcakes you'll ever see and they are absolutely delicious. My favourite has to be their sticky toffee pudding cupcake that has a liquid centre of toffee sauce. Perfect for those with a sweet tooth! What is your favourite place in Edinburgh for a coffee and a catch-up? Let me know so I can try it out.... for research.